Matias Quiet Click switches are based on original Alps designs from the 1980s. Their tactile mechanism and contacts use elements like those in simplified Alps. Quiet Click stems adopt a rubber damping system from SKCM Alps. 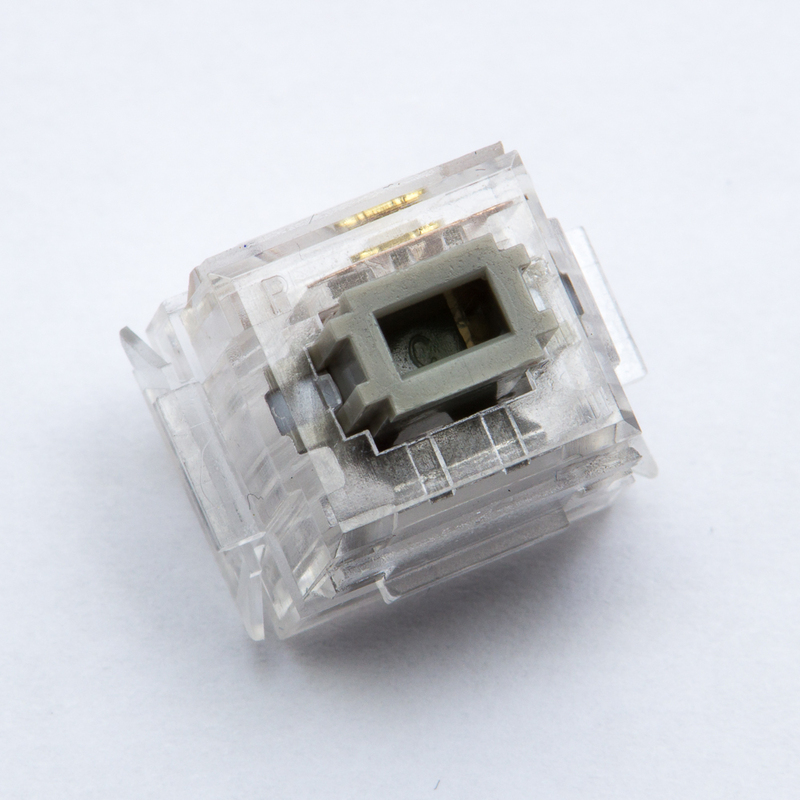 Matias switches are the only commonly available modern clone of original Alps products. The Quiet Click name is somewhat misleading -- perhaps even an oxymoron -- due to the lack of a perceptible click. A solid tactile feel and relatively low noise make these switches an interesting option for keyboard builds. Keypresses showcase several unique elements due to the switches’ integrated silencers. A raspy sounding (but relatively smooth) press results in a small “scritch” noise at the primary tactile point and a soft thud at bottom out. Upstroke noise is a similarly soft, but higher pitched, thud. A near-inaudible “plick” can be coaxed from a Quiet Click if its stem is pulled towards its contact leaves, but the noise varies in volume. It certainly isn’t powerful enough or accessible enough to be called a click. Noticeable stem wobble is present in all four axes of the Quiet Click switch. New tooling is said to reduce this significantly. A sharp initial tactile point leads to a small secondary bump before bottom out. The force curve resembles that of Complicated Black Alps, which share twin tactile points. Quiet Click switches improve upon its performance with lower weight, a primary tactile point that falls off quickly, and a less noticeable secondary point.